D-Day landings harbour. 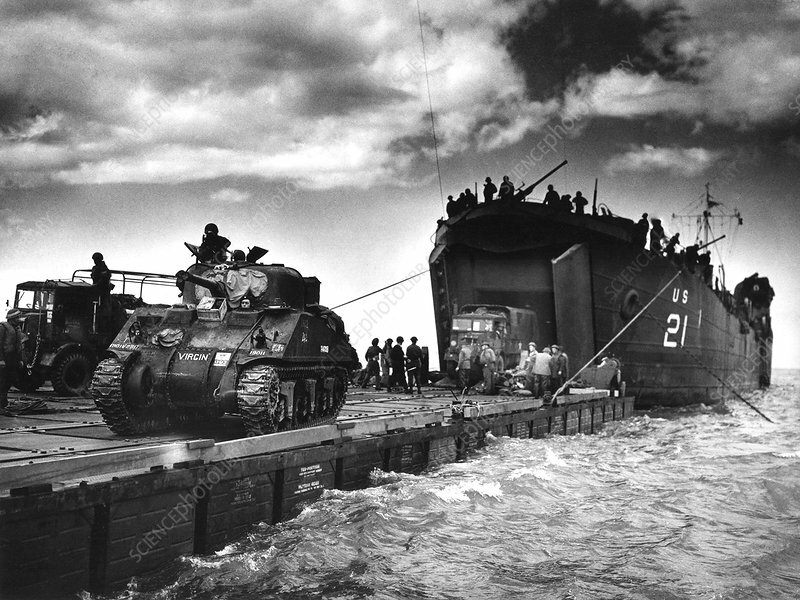 Mulberry harbour being used to unload troops onto the Normandy coast in France following the D-Day landings of 6 June 1944. Mulberry was a codename for the two large artificial harbours built in England and brought to Normandy to supply and reinforce the beachheads established by the landings. Thousands of soldiers and sailors were involved in this effort. Barges were joined to the shore by floating roadways. The D-Day landings were the largest seaborne invasion in history. They successfully liberated the Normandy coast of Nazi-occupied France, contributing to the Allied victory in World War II.